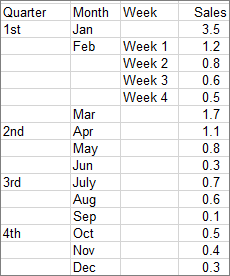 Tip: Use the Design and Format tabs to customize the look of your chart. 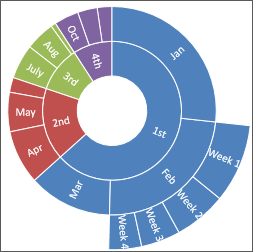 If you don't see these tabs, click anywhere in the sunburst chart to add the Chart Tools to the ribbon. 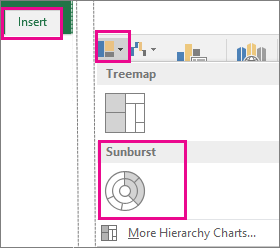 On the ribbon, click the Insert tab, and then click (Hierarchy icon), and select Sunburst. Tip: Use the Chart Design and Format tabs to customize the look of your chart. If you don't see these tabs, click anywhere in the Sunburst chart to display them on the ribbon. 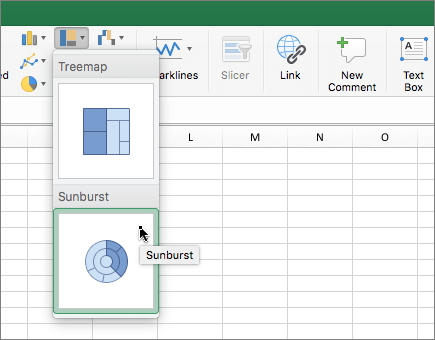 To read more about the sunburst chart and how it helps you visualize hierarchical data, see this blog post on the sunburst and treemap chart by the Excel team. You may also be interested learning more about the other new chart types described in this blog post.